Unless you happen to live in an area with a year-long temperate climate, then chances are you won’t have access to fresh, local fruits and veggies during the winter. Sure, there are always potatoes, cabbage, and beets to fall back on – but they can get boring pretty quickly. To stay healthy as a vegetarian during the winter, you will have to get creative with all the winter fruits and veggies. But you may also want to plan ahead for winter while there is still an abundant selection of produce. Before our ancestors had supermarkets to turn to in winter, they would pickle foods to eat during winter. Aside from preserving foods, there are a lot of good reasons for vegetarians to start pickling: real pickled foods are rich in vitamin K2 (which is needed for calcium absorption), increase the bioavailability of many nutrients, and also help maintain healthy gut flora. Pickling doesn’t have to be limited to just cucumbers. 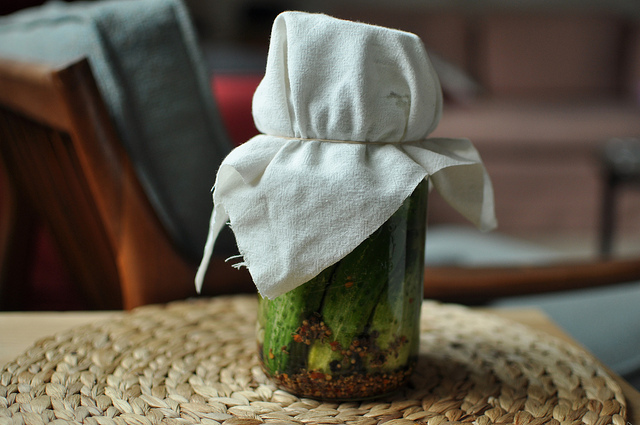 Read these super easy lacto-fermentation instructions or try this recipe for pickled kohlrabi. 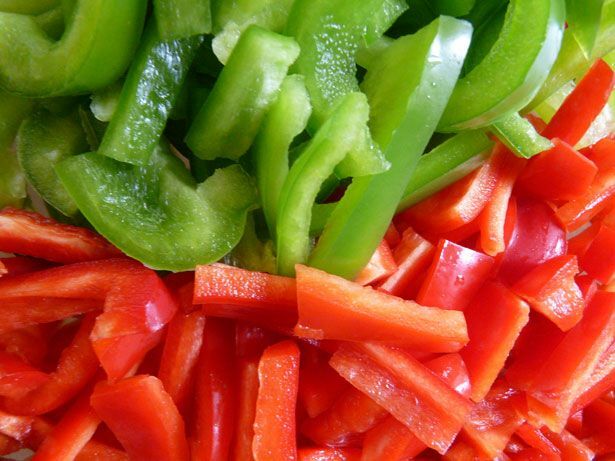 Peppers are loaded with antioxidants, potassium, and vitamin C (which is important for iron absorption). By the time winter comes along though, the price of peppers will have skyrocketed. Any peppers which you do find in the stores will also probably have come long distances and be loaded with pesticides. Don’t go the winter pepperless. Instead, buy mass amounts, chop them into little bits, and freeze them in baggies. A lot of other warm-weather foods also do well in the freezer, like greens and beans. Eggplants don’t freeze or dehydrate very well, so if you want some yummy eggplant goodness in winter, you may want to do as the Macedonians do. They grill or cook up large amounts of eggplant, peppers, carrots and tomatoes. Then they mash all the grilled veggies together to make a really delicious spread. It goes into jars and can last all year. The eggplant-heavy spreads are called pinjur and the ones heavier in red peppers are called ajvar. These homemade spreads will beat any of that jarred stuff you find at Trader Joes. In late fall, you can find fruits like apples and pears for really cheap. Take advantage of this by cutting them into slices and dehydrating them (my dehydrator is definitely one of my favorite kitchen gadgets). You might also want to dehydrate tomato slices, apricots, tropical fruits, zucchini chips, or pretty much anything you can think up. Our nutrient intakes can vary considerably in the winter. So, if you take a vegetarian supplement, you may want to rethink it. Consider switching to a supplement which has vitamin D in it as it is pretty common for people (veg and omnivores alike) to develop a deficiency during wintertime.